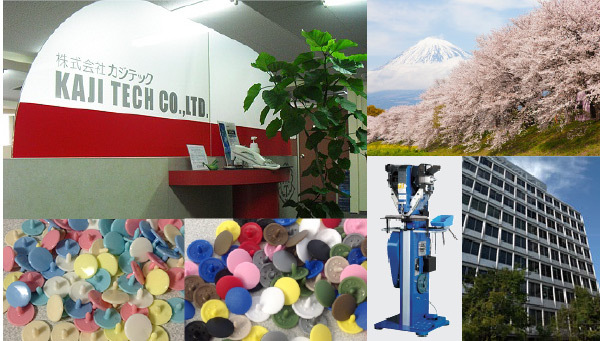 About Us | KAJI TECH CO., LTD.
KAJI TECH CO., LTD. | Our aims are to contribute to society and make people’s lives happier and better through our earth-friendly products. 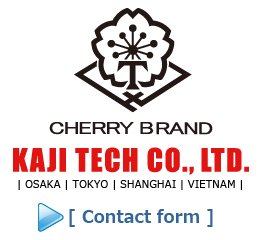 KAJI TECH (SHANGHAI) CO., LTD.
39555 Orchard Hill Place Suite 600 Novi, MI 48375 U.S.A.
KAJI TECH VIETNAM CO., LTD.
We originally supplied boot buckles. For the past 15 years, we have sold mainly plastic snaps to clothing companies. Our success in replacing metal snaps with plastic snaps has been such that we now make up 70% of all fasteners in the infant and toddler clothing industry in Japan. Our aim is to let everyone in the world know the high quality of plastic snaps, and we hope to enhance people’s lives with them.